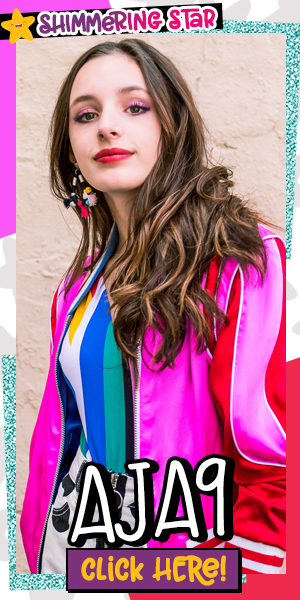 Descendants Style Series: Mal Outfit | YAYOMG! 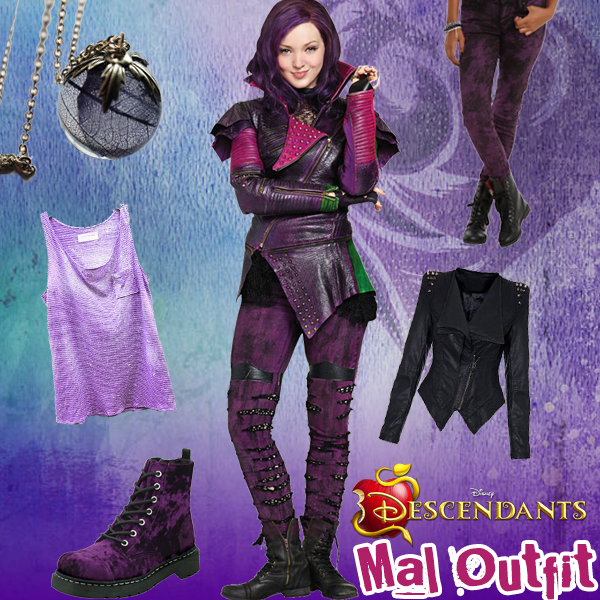 Our Descendants Style Series comes to an with the most wicked villainess of all – Mal! Mal is the daughter of Maleficent, and she’s definitely inherited her mother’s evil ways. Mal can be a bit vengeful at times loves coming up with evil plans. She finds things like beautiful scenery and kindness completely horrible. She does have a bit of a compassionate side sometimes – usually when it comes to her friends. Mal is a natural born leader, making her the perfect choice to act out her mother’s evil plan to steal the Fairy Godmother’s wand. Mal has the ability to cast spells, but tends to only cast them when it’s completely necessary. 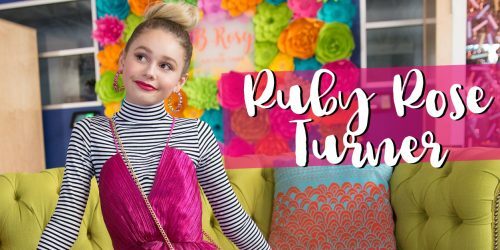 She’s very artistic and smart and becomes both loved and feared at Auradon Prep. She’s kind of a loner, and likes to sit on her own in class. Despite her loner tendencies, Mal is very close with Evie and sees her as a sister. 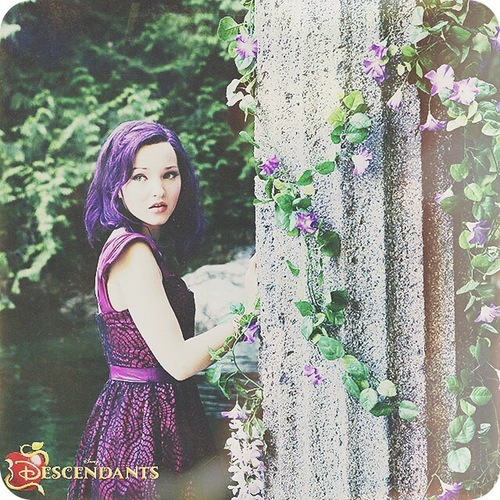 Ready to create a Mal Descendants Outfit of your own? Browse the gallery above for evil inspiration! The most important part of Mal’s outfit is purple, purple, purple! 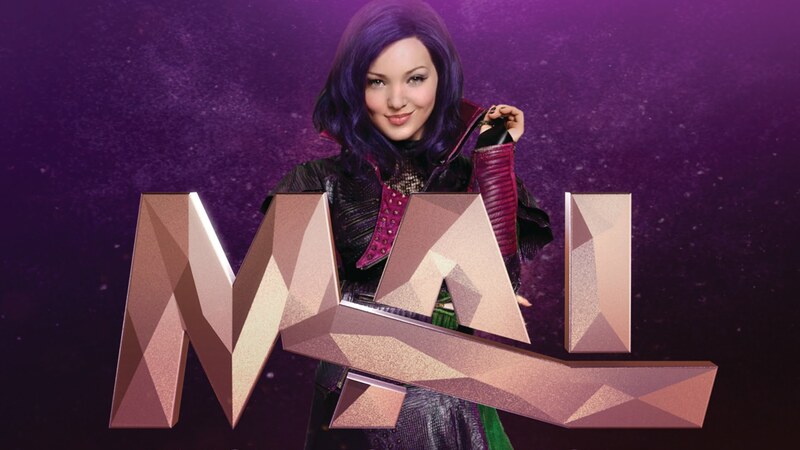 Not only is Mal’s hair a gorgeous dark purple (which you can replicate easily with hair dye/chalk), but her outfits throughout the movie are mostly purple as well. She often flips between dark purple and light purple, so whatever shade you feel like wearing will work just fine! Mal’s outfits generally have a jacket or blazer of some sort, so that’s a great starting piece for your outfit. We wanted to pay respect to one of the most evil villains in Disney history – Mal’s mom, Maleficent – so we tossed in a Maleficent makeup bag and Maleficent wing earrings. 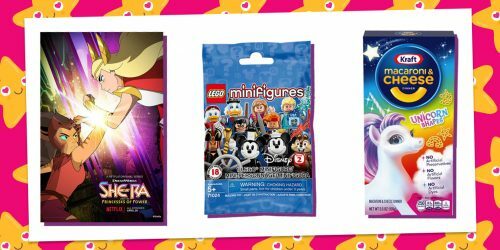 Wear at your own risk – they may turn you evil! Wearing a Mal outfit won’t give you spell casting abilities, but you can add a little magic in the way of studs, spikes, and sequins. 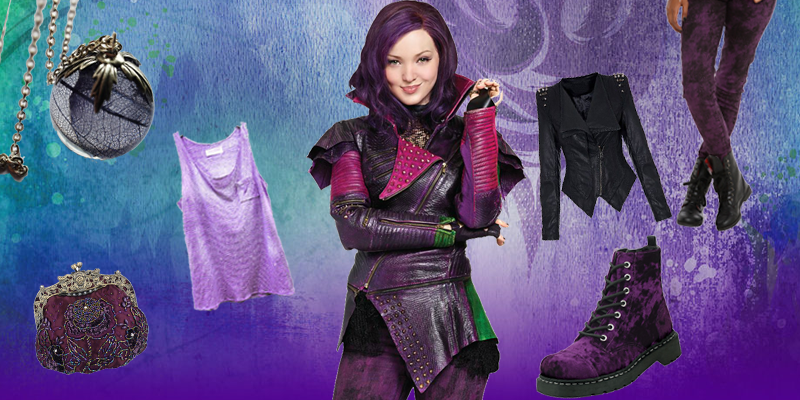 Now that our Descendants Style Series is complete – you’ve got what you need to create the most villainous outfits based on Evie, Jay, Carlos, and of course – Mal!